"Your theory is crazy, but it's not crazy enough to be true," said the great Danish physicist Niels Bohr. Enter Sir Roger Penrose. Correlated noise in the two LIGO gravitational-wave detectors may provide evidence that the universe is governed by conformal cyclic cosmology (CCC) which assumes that the universe consists of a succession of aeons, "the boundaries of infinity," says Penrose of the University of Oxford. 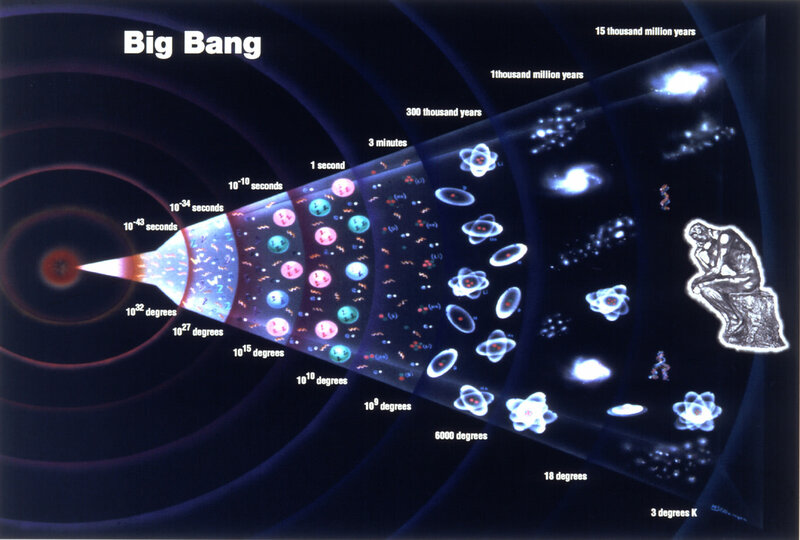 "The Big Bang was not the origin of our universe," he observed. Penrose proposes that there was an aeon before the Big Bang. The apparent noise is actually a real signal of gravitational waves generated by the decay of hypothetical dark-matter particles predicted by CCC from a previous aeon that can be seen in the cosmic microwave background --electromagnetic radiation left over from an early stage of the universe in Big Bang cosmology. Penrose, Johnston writes, says that a "reasonably robust implication of CCC" is that dark matter consists of particles called erebons – the name deriving from the Greek god of darkness Erebos. As dark matter goes, erebons are extremely heavy and have masses of about 10–5 g. This is roughly the Planck mass and on a par with a grain of sand and about 22 orders of magnitude heavier than a proton.